That would be wonderful, Cilla. 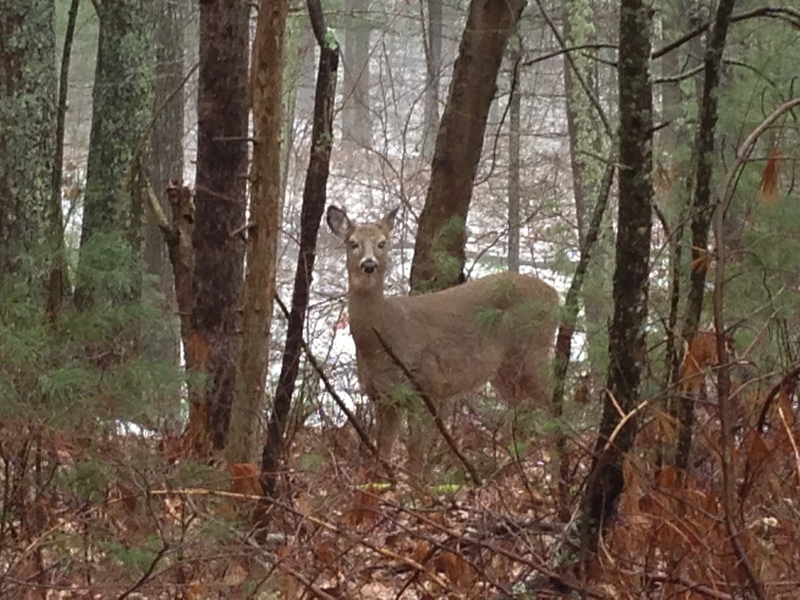 Doe stayed around for as long as I did, but I would have loved to sing her this special song. Wonderful that you were able to take a photo to share with the rest of us. What gentle eyes! I believe that the animals are becoming more responsive to our prayers — no deer here so close to the city, but I have had similar experiences with the great horned owls at Mount Auburn Cemetery. Like you, I try to pay attention when a wild being visits. What an honor to encounter great horned owls. Such wise beings! Beautiful animal and a beautiful story. Very touching. Mmmm, a lovely gentle story. I copied your doe photo to the desktop array that is my screensaver, so I can enjoy its energy. What a great idea! Thanks for letting me know you did this.